Omar Bencomo held the Biscuits to a single run over seven innings. 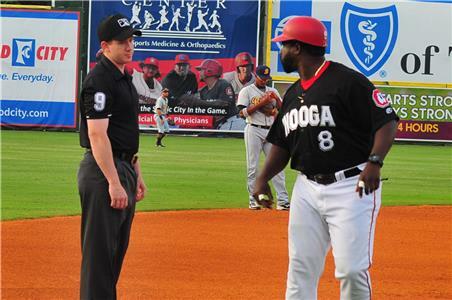 The Chattanooga Lookouts put an end to a miserable five-game losing streak with great pitching and timely hitting to defeat the Montgomery Biscuits Friday night 5-1 in front of 3,407 fans. Right-hander Omar Bencomo pitched a gem for the Lookouts, only allowing one run in seven innings with seven strikeouts. This season Bencomo has not given up more than two runs in any of his six starts. His 2.08 ERA now ranks second in Southern League. Bencomo got some early run support in the third inning. With one out, Edgar Corcino laced a triple right up the middle. After a Chris Paul walk, Alex Perez hit a sacrifice fly for the team's first run of the game. Brian Navarreto followed that up with an RBI double to plate Paul. The catcher ended up scoring the team's third run of the inning on a Tanner English RBI single. English finished the evening going 2-for-2 with two walks, a run scored and a stolen base. In the fifth Chattanooga brought their lead up to four runs on a Zander Wiel sac fly. Montgomery got on the board against Bencomo in the sixth but would be held off the board the rest of the game. Reliever Todd Van Steensel came into the game in the eighth and through two scoreless innings to net his fourth save of the season. Saturday, the Lookouts and the Biscuits return for game three of the series. The first 1,000 fans who come out the game will receive a Jonathan Rodriguez bobblehead courtesy of Great Clips. Zach Lee, former Lookout who was scheduled to pitch for Montgomery Friday, has been promoted to Tampa Bay's Triple-A team, Durham Bulls. Infielder Sean Miller who had been on the roster of Triple-A Rochester since May 1 has been sent back to the Lookouts. On May 22, Nick Gordon was promoted to Triple-A from the Lookouts. Left-handed pitcher Paco Rodriquez has moved from Class-A Ft. Myers to the Lookouts. 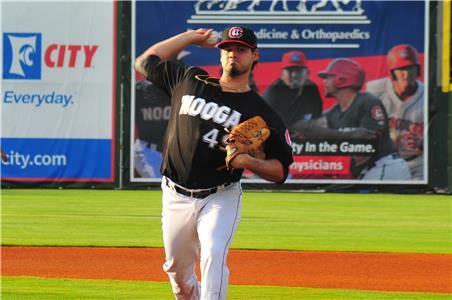 Rodriquez pitched in Chattanooga last season. Pitcher Kohl Stewart has been place on the temporary inactive list. Left-handed pitcher, Casey Crosby has gone on the 7-day disabled list. Manager Tommy Watkins was ejected for arguing a call by third base umpire Chase Eade.